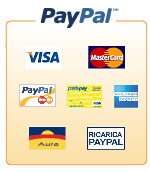 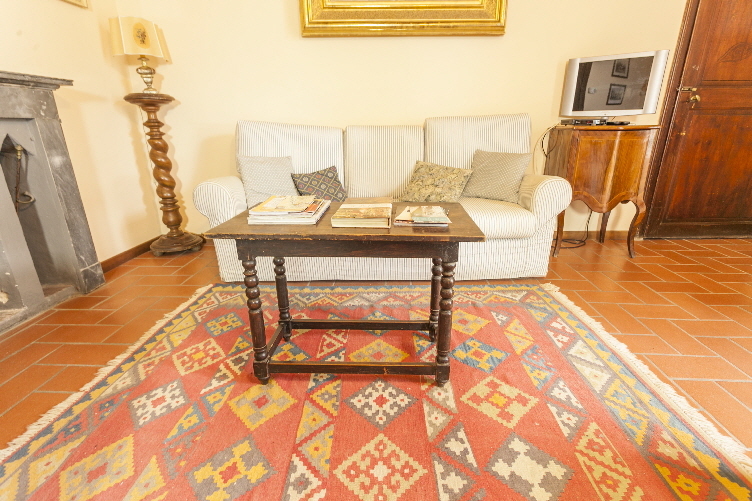 The apartment, 65 m2, sleeps 2 people and is in the heart of the Grancia, on the second and more internal courtyard. 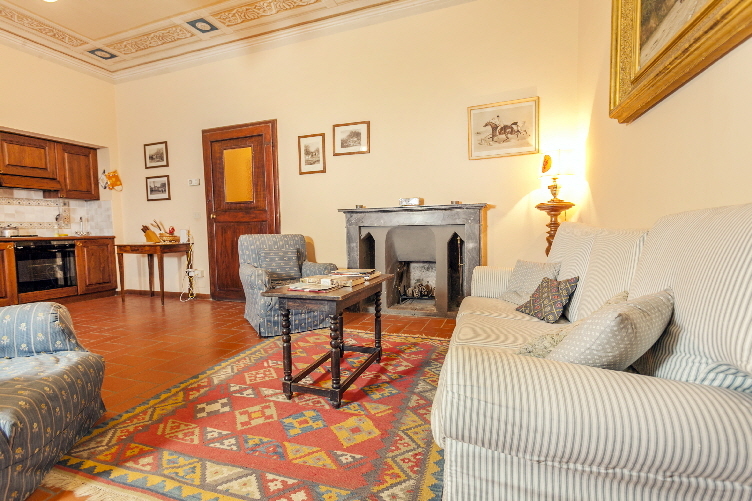 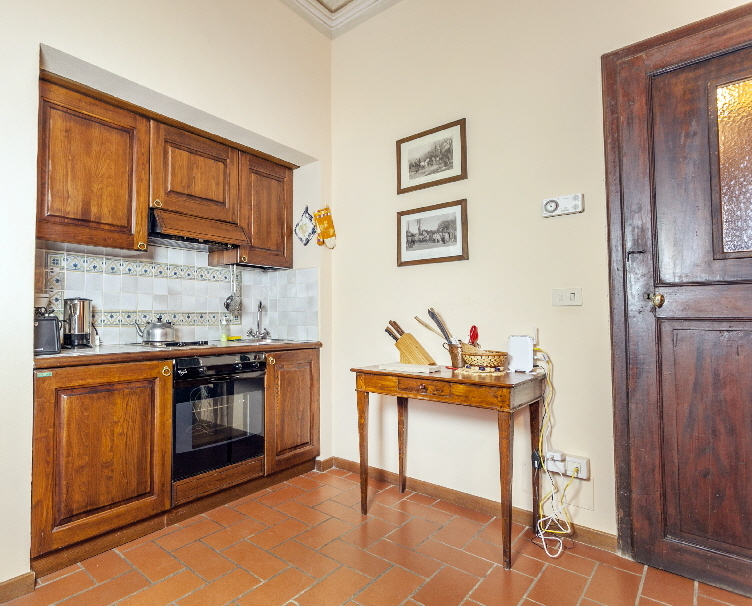 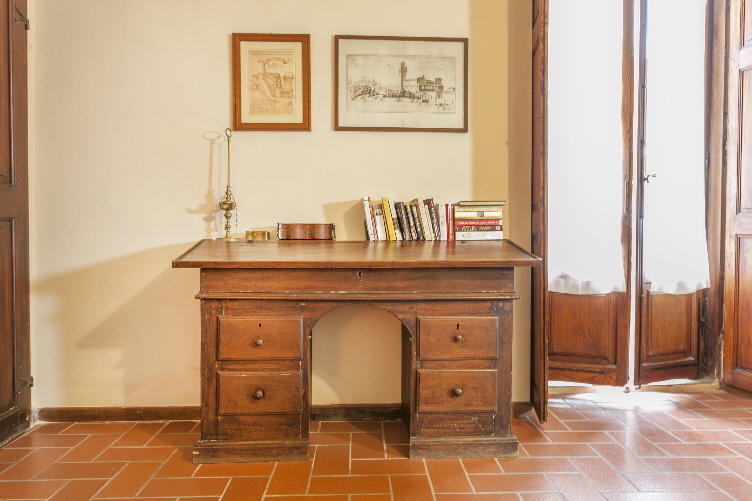 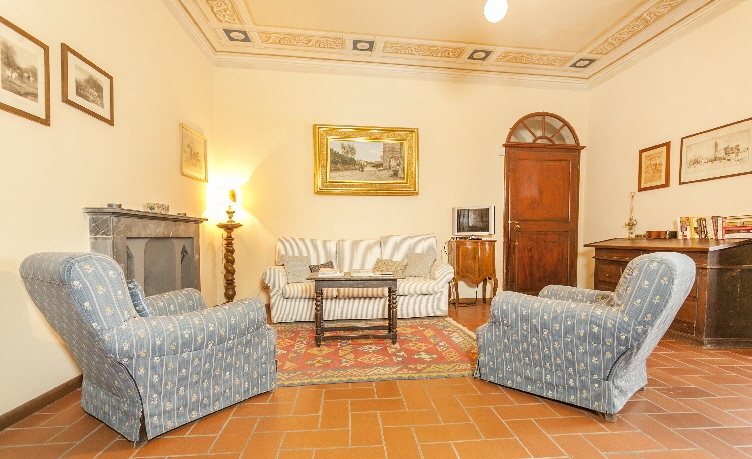 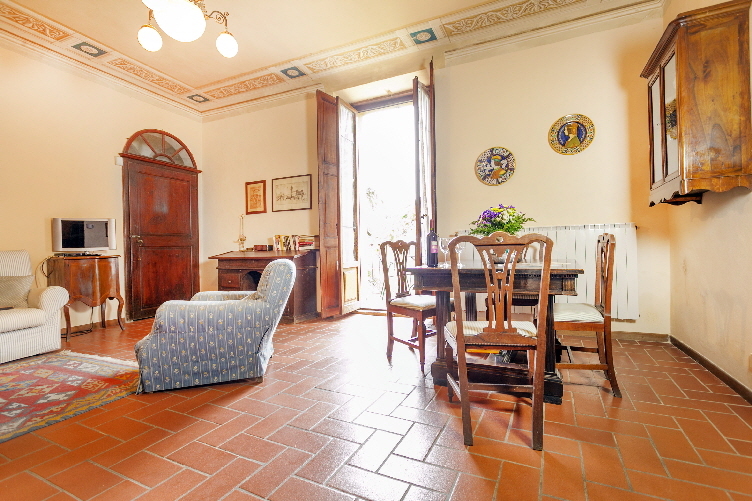 It used to be a private quarter (so the name), where the owner was retiring himself to relax, administer the Grancia and take important decisions in complete tranquillity. 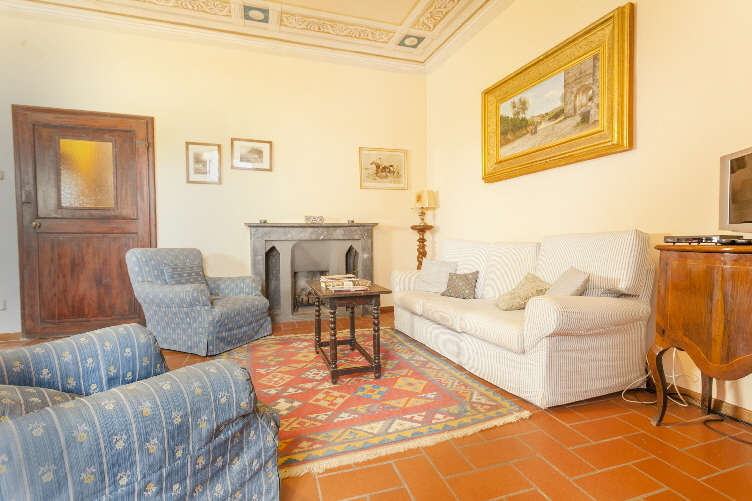 The apartment consists of an entrance hall, a spacious living room with cooking area and fireplace and a bedroom with a king size bed. 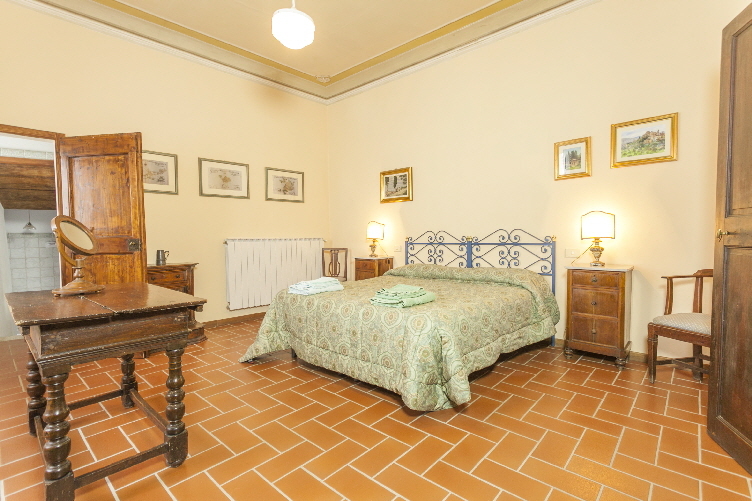 The bedroom has an en-suite bathroom with shower. 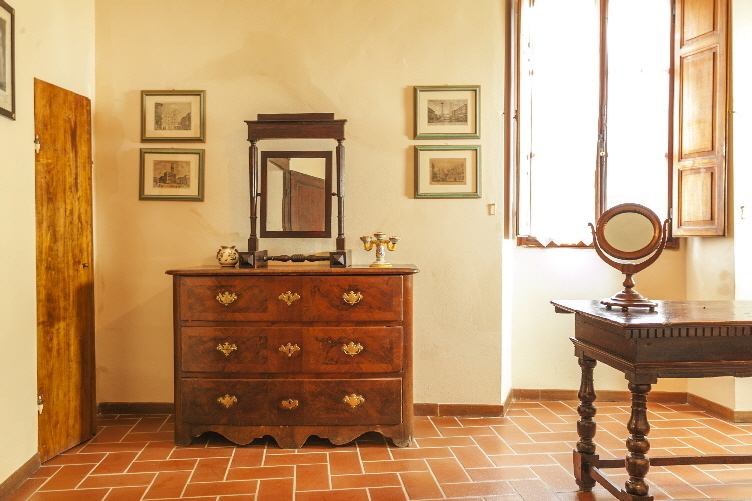 Authentic period pieces give you the taste of another age and you can find yourself thinking of a Tuscany of other times. 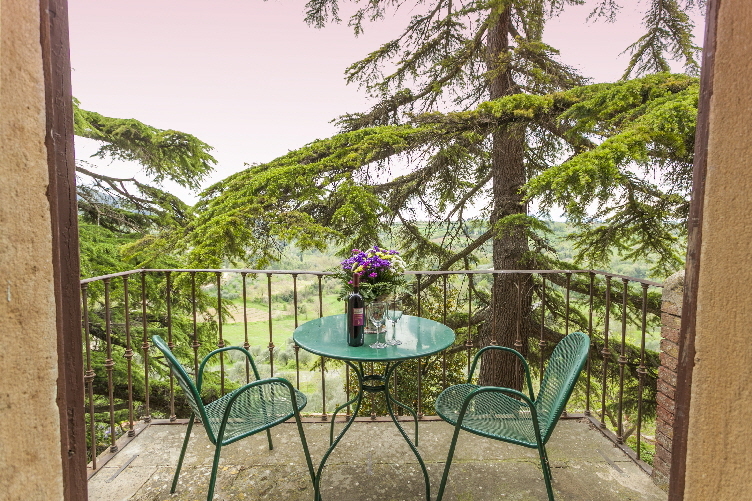 The living room has access to a balcony, which, like all the windows of the apartment, overlooks the gardens and the valley, giving you a dramatic Tuscan vista.